Cheese…what more can we say? It’s one of those ingredients that can make a simple meal so much better, a small party into a great gathering, and basically…make most humans the happiest humans around! It’s a year round crowd pleaser and satisfies those midnight cravings for munchies. We are big about cheese around here. Busy days often call for homemade mac and cheese or a delicious, grilled-to-perfection, grilled cheese sandwich. Before the Sprout came along, Dave and I would often frequent our local cheese shops and select a couple types to take home for Sunday afternoon lunches and beach side picnics. Then the Sprout came…after two months of her experiencing acid-reflux symptoms and the screams to match, we discovered that she was lactose intolerant. Heavy sigh…cheese was a way of life for Dave and I! Well maybe not a way of life, but we definitely survived on it often! We aren’t the kind of people who give up easily, though. After all, Dave’s a chef…so we set out to find ones that she could tolerate, which also meant that I could eat them while nursing. And find them, we did! We found many varieties that she not only tolerated, but enjoyed discovering when she got older. Life had returned! All this trial and error brought us to new varieties of cheeses from places around the world as well as places that are literally in our own backyard! It was so much fun to find out more about the cheese making process, why certain milks were easier to stomach, and most of all, discover the craftsmen that make these delicious blocks of yummy goodness! So today we bring all this info to you! We’ve created a couple of posts that are all about cheese and how to put them together for a grazing table, cheese board, picnic, or just to munch on during your busy days. We’ve even included special selections in case you find yourself in the same predicament as our Sprout, namely…lactose isn’t your friend. If you’re a local, don’t forget to hit up these local spots for some of the best cheeses available on the central coast! Without further ado, we bring you cheese. 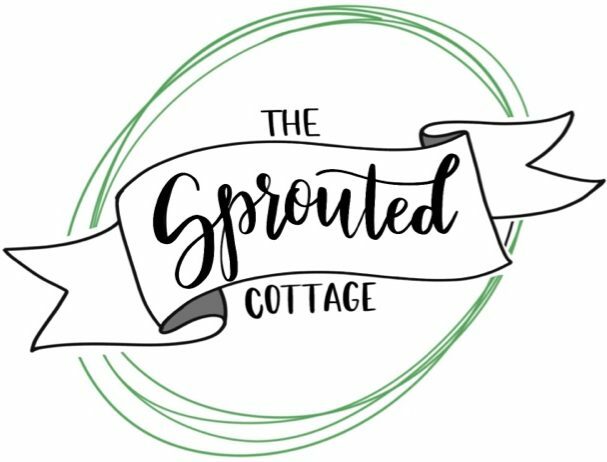 Hi and welcome to The Sprouted Cottage! We are Dave and Elizabeth Gerszewski; two lovers of food, family and faith. Contact us if you have questions or ideas! Get Cottage News and Recipes Straight to Your Inbox! Copyright 2016-2018 Dave and Elizabeth Gerszewski and The Sprouted Cottage. All Rights Reserved. Content and recipes are for personal use only unless otherwise stated.